Hello friends! 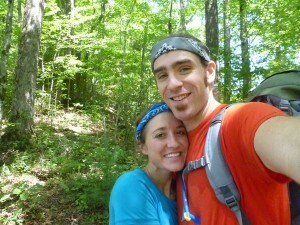 quick update--Chris and I have completed our thru hike of the Appalachian Trail this past year, yay! As exciting and unforgettable as our adventure was, we must continually keep striving forward, and for us, our next big step is to fund this well. After a lot of planning and prayer, we thought maybe our friends and family might be interested in joining us on our next adventure by helping us raise enough money to complete this project. This well would be built in South Sudan giving life sustaining water to a people in need. In the United States, it is so easy to walk to the sink for a glass of water while we never stop to think of the thousands of people who have to walk for miles or simply go without. Please consider helping us help others along our journey!